JD McPHERSON! Jake la Botz Just added to the bill… Abilene Bar and Lounge favorite, Woody Pines!!!! 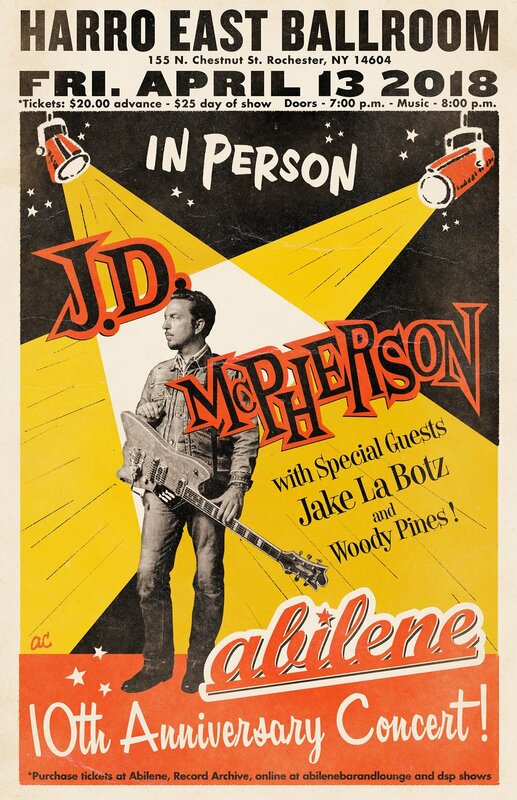 Get your tix today..at Abilene, Record Archive and online at abilenebarandlounge.com and at DSP Shows — with Raynier Jacob Jacildo, Jake La Botz, Jason Smay, JD McPherson and Jimmy Sutton.